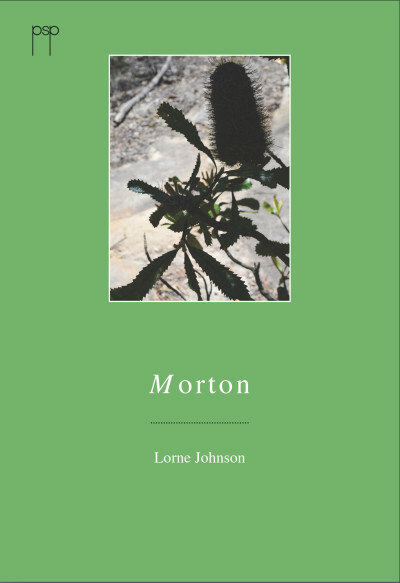 Morton is Lorne Johnson’s first published collection. 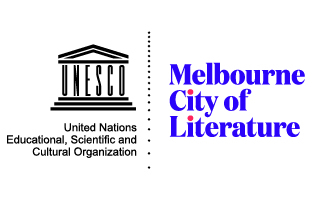 However, Johnson’s work should be familiar to avid readers of Australian poetry, since it has been published and commended in prizes for over a decade now. Johnson’s poetry has been published in many of Australia’s leading journals, including Mascara, Wet Ink, Island, Meanjin, Rabbit and Regime. In addition, Johnson’s poetry has already appeared in four anthologies (Writing to the Wire, Prayers of a Secular World, Australian Love Poems, and Eclogues, the 2007 Newcastle Poetry Prize anthology), which is quite an impressive publishing record for a poet who has not yet produced a full-length collection. Johnson writes nature-based lyric poems, with the collection focusing primarily on Morton National Park in the Southern Highlands region of New South Wales. Morton opens with ‘Blue Note’, a twelve-line lyric divided into two six-line stanzas. The poem deftly combines several of Johnson’s passions (nature, birding and music), while stirring in a generous shot of humour and a few surprises. At dusk the speaker observes a ‘male Satin Bowerbird / on the edge of Gambells Rest’ (1-2). The bird is busy ‘decorating the forecourt of his / La Sagrada Familia bower’ (3-4), and here the reader encounters the first surprise, a bird’s nest in the Australian bush being compared to Antoni Gaudi’s glorious, unfinished masterpiece in Barcelona. The speaker goes on to list some of the bowerbird’s building materials, which include ‘milk bottle tops, pegs, straws,’ and, most surprisingly, a Smurf figurine (5-6). In the second stanza, the speaker returns ‘round midnight’ (7), just like a true jazz aficionado, to find the bird (no, not Charlie Parker), ‘kicking back, downing / Blue Curacao from a gumnut’ while ‘diggin’ Miles’ (8-10). Overall, the poem is a great success, a fine example of distillation, economy and wit. However, several of the line breaks could have been much more effective if Johnson had ended the lines with stronger words; instead, he ends several lines with articles and prepositions, such as ‘a,’ ‘of’ and ‘to,’ thus missing opportunities to create rhyme, rhythm and emphasis. ‘Destinations’, the third poem in the collection, is a found list poem consisting entirely of 18 place names, grouped into two stanzas, with each place name occupying a single line. Many of the place names are intriguing and / or amusing, such as ‘Hamlet Crown,’ ‘Blue Yodel Pass,’ ‘Mad Hatters Ridge,’ ‘Dungeon Creek,’ ‘Hell Hole’ and ‘Possibility Point’ (12-18). As Australian place names usually do, the names selected for the poem reveal hints of colonial history, cultural references, attempts at possession, hope, failure, and the displacement of Indigenous peoples. Indeed, the presence of just two Indigenous place names in the list is the most intriguing aspect of the poem. ‘Destinations’ contains some humour and inspires thought, though the names could have been arranged in a manner that would have created more juxtapositions, rhyme and unity. ‘Wishing Well’, the collection’s fourth poem, is the first to use the first person plural voice and situate the speaker in the poem with another human being. In the first three poems, humans are either absent or solitary observers. In the tradition of the English Romantic poets, Johnson’s poems often feature solitary individuals communing with nature. However, Johnson rarely uses the first person singular, preferring to convey his observations and ideas without direct reference to the individual speaker. The poem entitled ‘Crust’ is one of the rare exceptions, employing the first person singular in four of the six stanzas. ‘Crust’ is one of Morton’s standout poems, containing beautiful, creative and surprising images, such as ‘malt whisky paddocks’ (1), ‘tangled honeysuckle / and blackberry’ (3-4), ‘a tourist with lava inside him’ (7), and ‘Superb Lyrebirds’ that ‘shimmer like Mardi Gras boys’ (12). Johnson’s sense of humour is on display in ‘yet another poem featuring gum trees’, which uses a variety of verbs (‘sporting,’ ‘harnessing’ and ‘scratching’) to describe gum trees engaged in various activities. One is ‘coping with a beehive in its armpit’ (11). The poem concludes with a gum tree ‘laughing at a bloke in a second hand bookstore in Bungedore, / who said he was over Australian poetry because of all the / bloody gum trees’ (9-11). 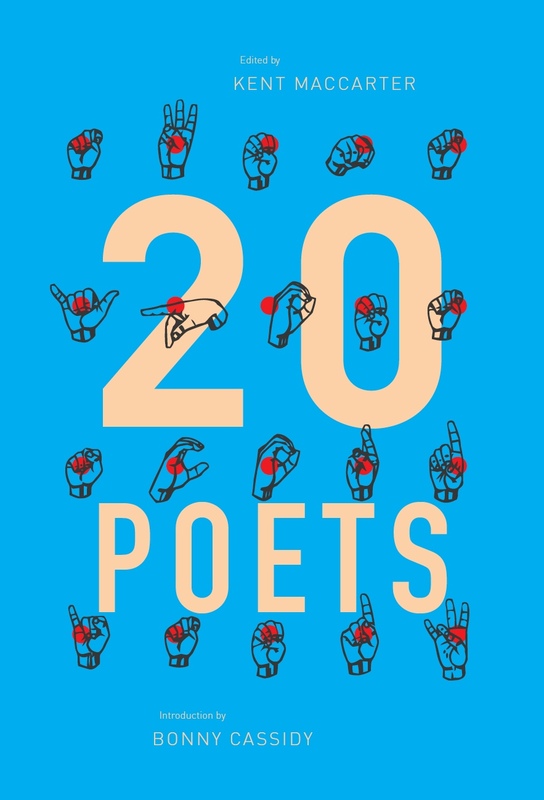 Johnson’s poetics could be described as ‘contemporary pastoral’; he is clearly conversant with a wide range of Australian poetry and knows enough about his chosen field to be able to both situate himself in it and refrain from taking it too seriously. While Johnson’s work may fit within a poetic tradition including Judith Wright, Les Murray and John Kinsella, and he is surely widely read, having taught English in secondary schools for more than two decades, Johnson does not have any obvious poetic influences and has succeeded in developing his own voice. In addition to his observations of birds and descriptions of sites within Morton National Park, Johnson addresses serious local issues, such as the dispossession of Indigenous people in ‘Sassafras, 1903’, the danger of bushfires in ‘when the fire needle leapt to catastrophic’, and threats to the local fauna in ‘A Reaction to a 2012 Hunting Proposal’. Johnson makes his position abundantly clear in the latter poem, describing the hunters as ‘blokes / with Southern Cross / tattoos and heads / full of dark energy;’ (1-4) who ‘hijack Morton / for days and run amok’ (9-10). In contrast, the victims of the hunters are ‘starlet-eyed, / powder-cheeked / Swamp Wallabies, / Hepburn-elegant in / smooth black gloves’ (16-20). ‘Pigeonhouse’, the collection’s final and most sophisticated poem, is by far the longest at 58 lines (most of the poems contain less than 20 lines). The poem contains many fine images and descriptions, such as ‘sweaty / morning skies’ (1-2), ‘vaulted emerald domes’ (4), and air tasting of ‘minted salt’ (8). One of the poem’s speakers states that Captain Cook named the mountain Pigeonhouse ‘after British dove boxes’ (32), while the primary speaker reveals that the site’s Indigenous name is ‘Didthul, after its / close resemblance / to a young woman’s breast’ (38-40). The existence of competing place names is just one example of several interweaving and overlapping narrative threads in the poem. Morton is the standard chapbook length of 28 pages; however, it contains just twelve poems, and thus feels slight. Having encountered Johnson’s poetry in a variety of publications, I was excited to read this book, but disappointed to find it did not contain more of his excellent poems. I hope a full-length collection is forthcoming. Morton announces the arrival of a mature, insightful new voice in Australian poetry. This entry was posted in BOOK REVIEWS and tagged Lorne Johnson, Nathan O'Reilly. Bookmark the permalink.